Ahhh, love! 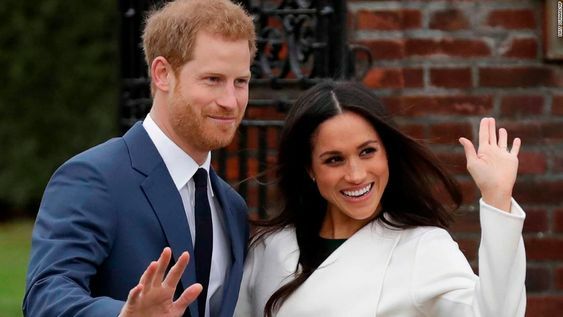 Love is in the air right now with the Internet all abuzz about the news of Prince Harry’s engagement to the actress Meghan Markle. For the select few who have been living under the fabled rock Prince Harry of Britain, brother to Prince William and fifth in line to the British monarchy just recently proposed to Suits actress Meghan Markle. The lovely couple has been seriously dating for a while now, but it still came as a shock to many when news of their engagement hit the world. Photo: pinterest.com The beautiful couple is set to get married on the 19th of May 2018 at St George’s Chapel, Windsor Castle, England. And excitement has reached new peaks as people anticipate the pomp and pageantry of a royal wedding. While the world prepares to watch and marvel at the great spectacle, which would follow the royal wedding, a marriage is more than the wedding (no matter how expensive! ), and there are a lot more reasons why Prince Harry and Meghan are destined to be together. While Harry and Meghan may not have had a long courtship – they dated for just 16 months before Harry proposed. Anybody who has had a chance to be in the presence of the two can attest to them being wildly in love. A situation made all the more evident during their engagement interview where the prince couldn’t stop staring at his enchanting quick-witted fiancee. Being in love is wonderful and is such a great reason to get hitched. We can safely say the pair are going the nine yards for all the right reasons. Prince Harry’s mother, Princess Diana, was very popular and loved worldwide due to her charity work and philanthropic achievements. This is a passion that she passed on to her second son Harry, who engages in charity work and is intensely passionate about it. Meghan has also always been passionate about this before meeting Harry, having involved herself in organizations that help those in need. She has acted as a women’s advocate for the United Nations and global ambassador for world vision. This shared passion would have been a deciding factor in their romance as it is oh-so-wonderful when partners can bond over their love for the same things. Meghan is close to her mother, and her love for family easily translates to the prince’s family as she already has a great relationship with Harry’s grandmother, Queen Elizabeth. The monarch is dear to Harry’s heart and is therefore really happy about this development. Being a royal can come with some daunting duties as you are automatically thrust into the spotlight with great expectations placed upon you. And while Meghan has had great experience in the spotlight and handling press, there are still expectations to be made of her. The Prince stated that he has had frank discussions with Meghan about the new trajectory her life is about to take, and she perfectly understands. She is reported to be slowly easing herself out of acting in preparation to assume all the duties being married to a royal so close in line to the throne bestows upon her. Prince Harry and Meghan Markle make a beautiful couple, and we cannot wait to celebrate with them as they make their union official.